There were 669 press releases posted in the last 24 hours and 153,484 in the last 365 days. In the new article in her Instruction Series, Magdalena Ewa Cuprys details the background and requirements of one of the most popular investor business visas. The E-2 Treaty Investor Visa, a non-immigrant visa classification, allows a national of a treaty country (a country with which the United States maintains a treaty of commerce and navigation) to be admitted to the United States when investing a substantial amount of capital in a U.S. business. Certain employees of such a person or of a qualifying organization may also be eligible for this classification. See U.S. Department of State's Treaty Countries for a current list of countries with which the United States maintains a treaty of commerce and navigation. -	Be seeking to enter the United States solely to develop and direct the investment enterprise. This is established by showing at least 50% ownership of the enterprise or possession of operational control through a managerial position or other corporate device. -	Of a magnitude to support the likelihood that the treaty investor will successfully develop and direct the enterprise. The lower the cost of the enterprise, the higher, proportionately, the investment must be to be considered substantial. -	A bona fide enterprise refers to a real, active and operating commercial or entrepreneurial undertaking which produces services or goods for profit. It must meet applicable legal requirements for doing business within its jurisdiction. On the other side of the coin, the investment enterprise may not be marginal. A marginal enterprise is one that does not have the present or future capacity to generate more than enough income to provide a minimal living for the treaty investor and his or her family. Depending on the facts, a new enterprise might not be considered marginal even if it lacks the current capacity to generate such income. In such cases, however, the enterprise should have the capacity to generate such income within five years from the date that the treaty investor’s E-2 classification begins. If the principal alien employer is not an individual, it must be an enterprise or organization at least 50% owned by persons in the United States who have the nationality of the treaty country. These owners must be maintaining nonimmigrant treaty investor status. Duties which are of an executive or supervisory character are those which primarily provide the employee ultimate control and responsibility for the organization’s overall operation, or a major component of it. Qualified treaty investors and employees will be allowed a maximum initial stay of two years. Requests for extension of stay may be granted in increments of up to two years each. There is no maximum limit to the number of extensions an E-2 nonimmigrant may be granted. All E-2 non-immigrants, however, must maintain an intention to depart the United States when their status expires or is terminated. An E-2 nonimmigrant who travels abroad may generally be granted an automatic two-year period of readmission when returning to the United States. -	Terms and conditions of employment have not otherwise changed. As pertains to the family of E-2 Investors and Employees, such Treaty investors and employees may be accompanied or followed by spouses and unmarried children who are under 21 years of age. Their nationalities need not be the same as the treaty investor or employee. These family members may seek E-2 nonimmigrant classification as dependents and, if approved, generally will be granted the same period of stay as the employee. If the family members are already in the United States and are seeking change of status to or extension of stay in an E-2 dependent classification, they may apply by filing a single Form I-539 with fee. Spouses of E-2 workers may apply for work authorization by filing Form I-765 with fee. If approved, there is no specific restriction as to where the E-2 spouse may work. As discussed above, the E-2 treaty investor or employee may travel abroad and will generally be granted an automatic two-year period of readmission when returning to the United States. Unless the family members are accompanying the E-2 treaty investor or employee at the time the latter seeks readmission to the United States, the new readmission period will not apply to the family members. To remain lawfully in the United States, family members must carefully note the period of stay they have been granted in E-2 status, and apply for an extension of stay before their own validity expires. 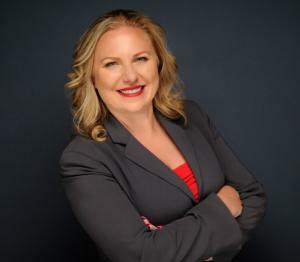 "Even though scrutiny at the US Consulates has increased, the E-2 investor visa remains a viable and attractive option for investors seeking to set up or acquire a business in the USA," concludes Ms. Cuprys. 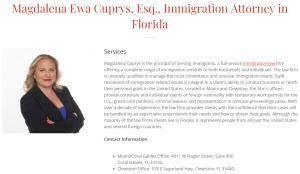 Magdalena Cuprys is the principal of Serving Immigrants, a full-service immigration law firm offering a complete range of immigration services to both businesses and individuals. The law firm is uniquely qualified to manage the most contentious and unusual immigration needs. Swift resolution of immigration-related issues is integral to a client’s ability to conduct business or reach their personal goals in the United States. Located in Miami and Clewiston, the firm’s offices provide corporate and individual clients of foreign nationality with temporary work permits for the U.S., green card petitions, criminal waivers and representation in removal proceedings cases. 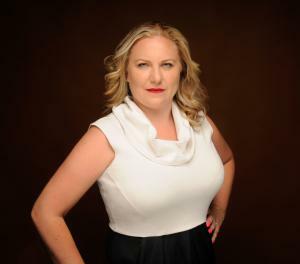 With over a decade of experience, the law firm provides clients with the confidence that their cases will be handled by an expert who understands their needs and how to obtain their goals. Although the majority of the law firm’s clients live in Florida, it represents people from all over the United States and several foreign countries.